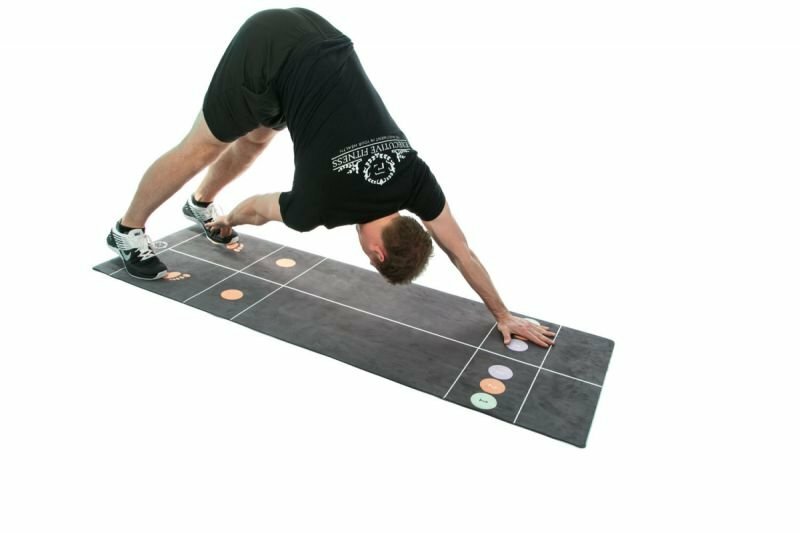 The Fitness Mat makes exercise anywhere anytime easy and convenient with fast and effective results. There is never going to be an excuse to not exercise again. You will work your whole body, you will gain strength, fitness and flexibility from the different style workouts that you can do. The biggest benefit to being in possession of one of these mats is that you can take it anywhere with you, and have the greatest of workouts. You will bulletproof your body, with a huge variety of strength and flexibility exercises, along with a super strong core which can prevent a lot of injuries and help keep the perfect posture. As for fitness levels they will go through the roof, with the specially designed combo workouts you will see the fat melt off your your body, and your fitness levels increase like you never thought possible. All this on a mat thats 6ft long 3ft wide, there is no need for large amount of space, it can all be done in your hotel room, the office, bedroom, garden literally anywhere so you have no excuses anymore to not exercise and become part of the growing percentage of people in the obese class.